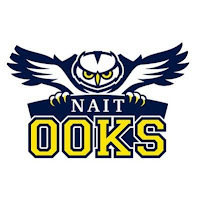 The NAIT Ooks men's hockey team is proud to announce that forward Branden Klatt has made a commitment to the program for the 2019-20 season. The 6'2 200 lbs. 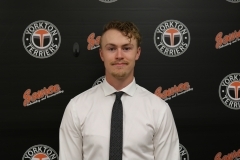 left shot forward, from Moose Jaw, Saskatchewan is currently playing for the Yorkton Terriers of the Saskatchewan Junior Hockey League where he has posted 23 goals and 30 assists for 53 points in 47 games this season. Prior to Branden's time in Yorkton, he played 184 games over 4 seasons in the Western Hockey League with the Edmonton Oil Kings and Moose Jaw Warriors. Branden plans to study Occupational Health and Safety in his first year at NAIT.